London’s Regent Street is known for its luxury fashion boutiques. 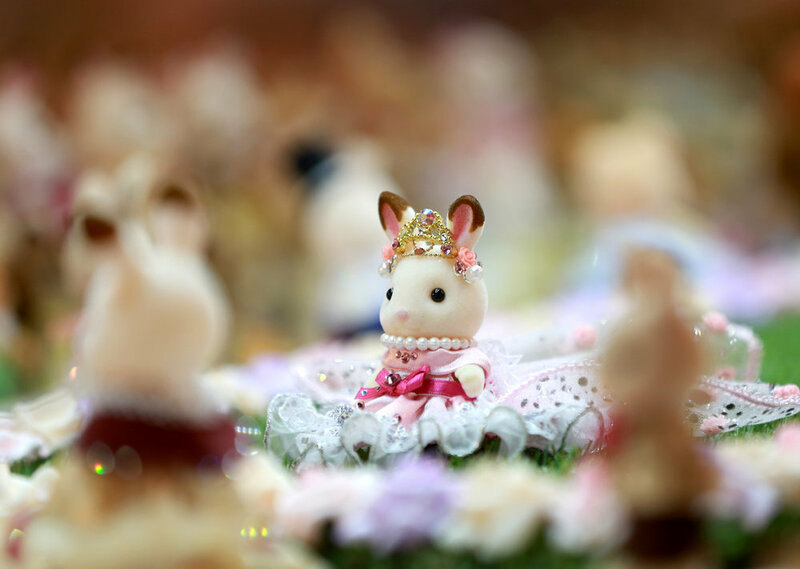 Today it welcomes a new designer from the house of Sylvanian Families whose debut haute couture collection will be unveiled at the world’s smallest fashion show in Hamleys Toy Store. 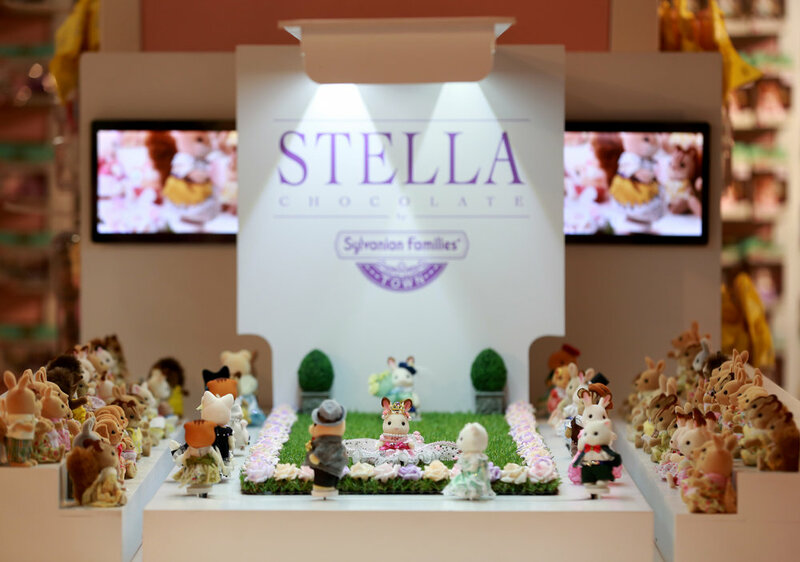 Stella by Sylvanian Families is the new designer on the block. 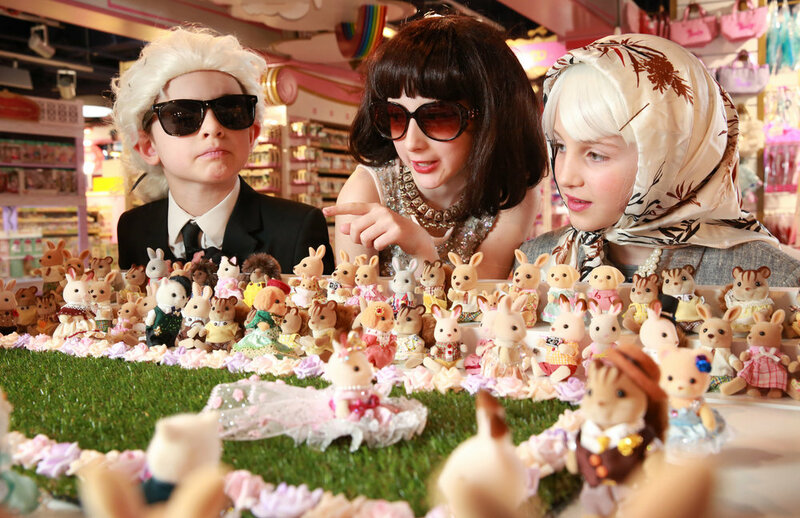 Her eye-wateringly small couture outfits, handmade in Japan exclusively for her debut Spring/Summer 2018 collection, will be worn by models measuring a teeny 9.5cm - that’s 19 times smaller than the average, 5ft 11” life-sized model. 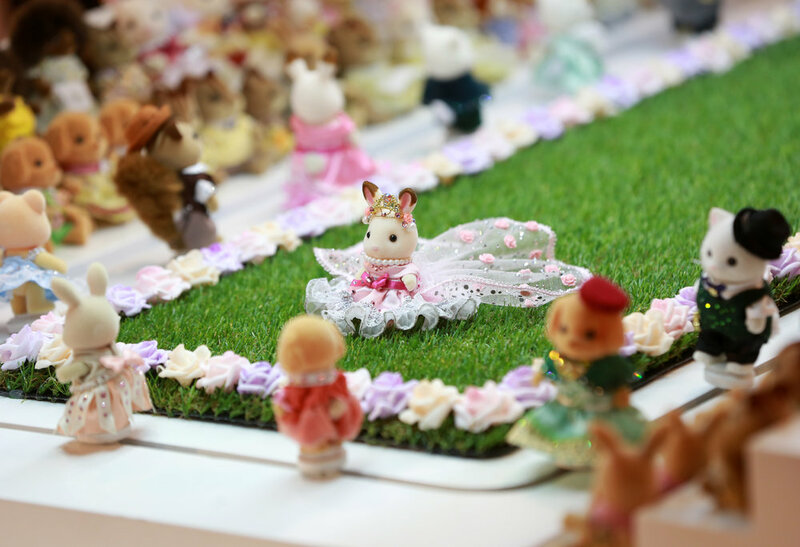 The fashion show will take place on the world’s smallest automated catwalk measuring just 100cm by 40cm - meaning, if you blink behind the obligatory dark glasses you could miss the highly detailed, miniature designs. 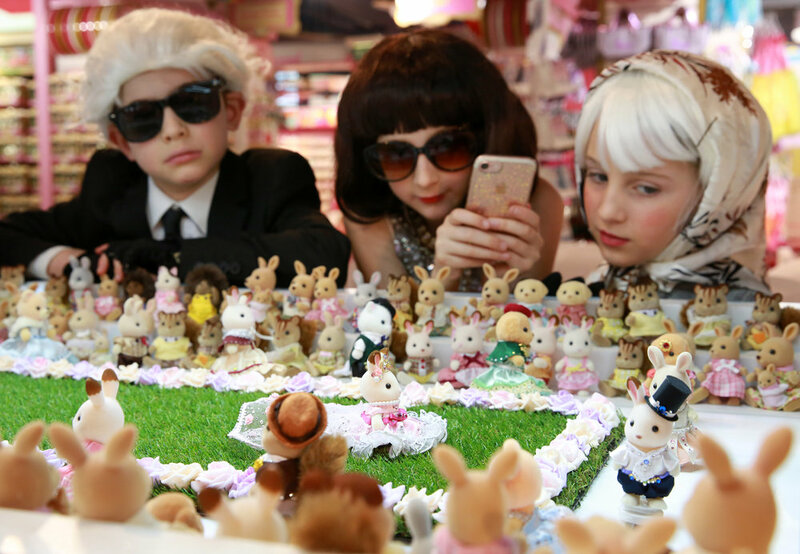 The 40 bespoke outfits encompass a range of styles, from Victorian glamour modernised and interpreted in a Sylvanian way, to this season’s throwback to the glitzy 1980s. Jaw-dropping red-carpet dresses in a rainbow of colours and luxe fabrics are mixed with jewel-studded male suiting in black, burgundy or brown. Despite being made in miniature, the detailing is couture quality: think crystals, embroidery, lace, tulle, faux leather and gold chains. The collection also includes the obligatory show-stopping, diamond-encrusting wedding gown. 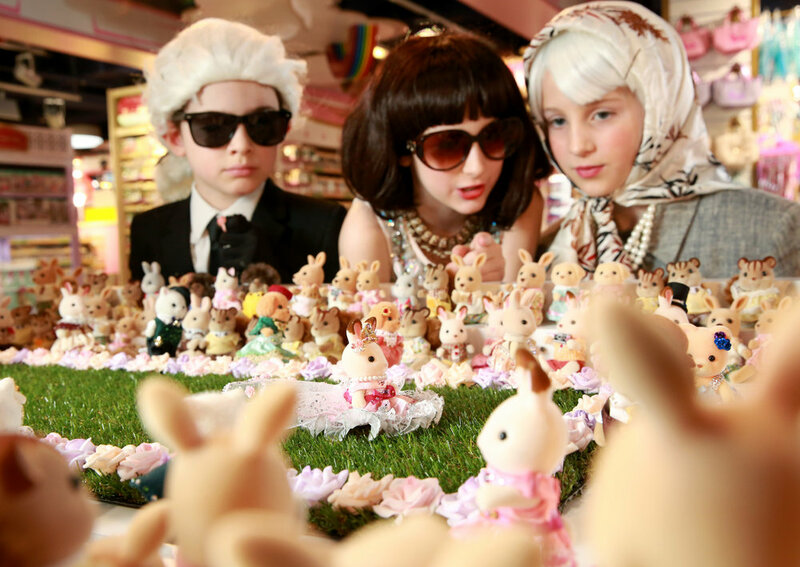 Stella’s inspiration comes from the new Sylvanian Families Town – a sophisticated urban environment very different from brand’s traditional rural village – and this collection is most definitely for occasion wear. 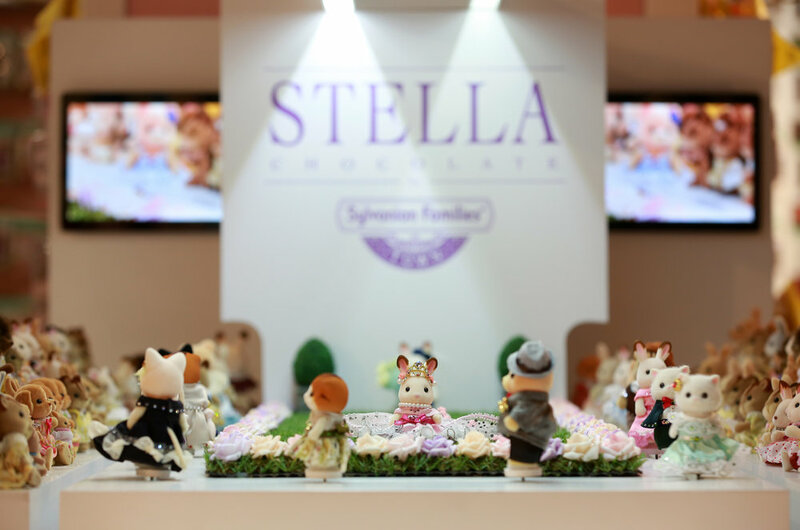 Although Her Majesty (adult version) is not expected to grace the FROW today, demand to see Stella’s new collection will no doubt be high from both Sylvanian fans and fashionistas young and old. 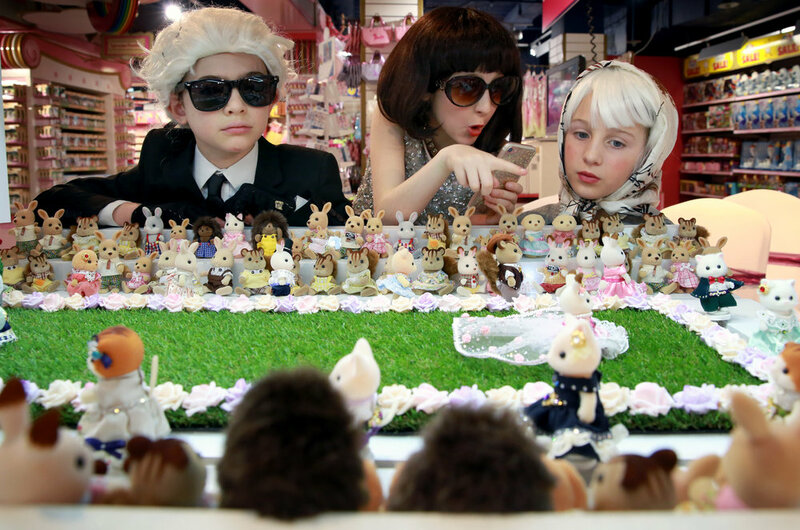 The world’s smallest catwalk will be on display at street level in the Hamleys window on London’s Regent Street from today until 2 May. 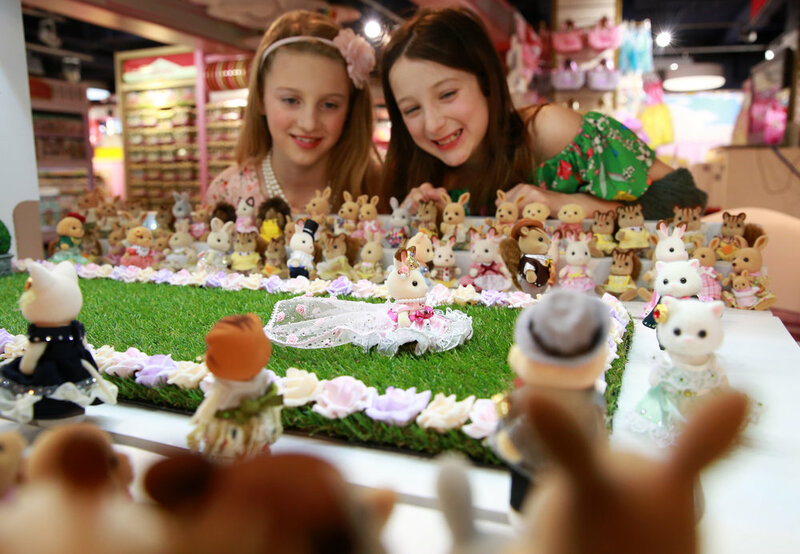 Another catwalk will also be on display until 24 March inclusive. 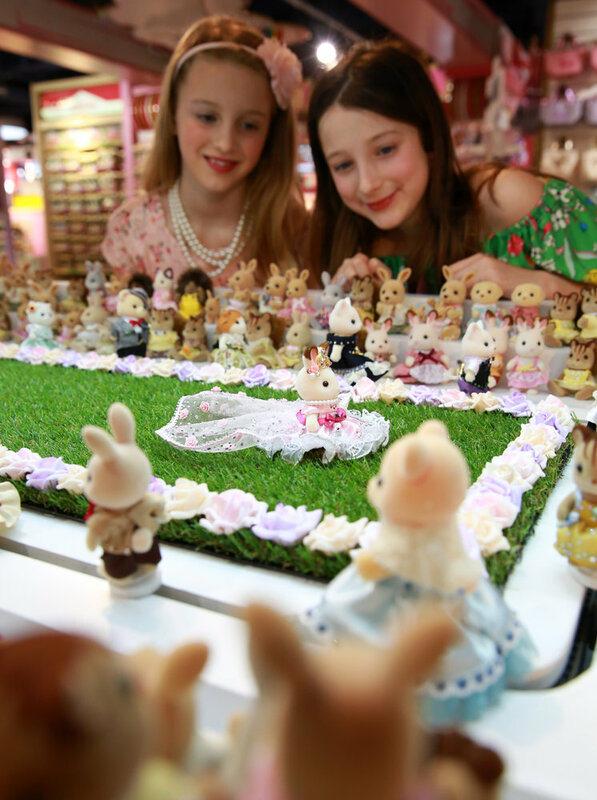 After that it will go ‘on tour’ around the UK as part of a Sylvanian Families roadshow at intu shopping centres.